Starring: Buddy Hackett, George Sanders, Denis Gilmore, Lorraine Power, and Jess Conrad. 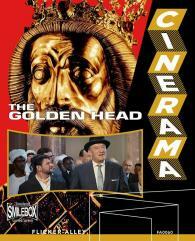 Largely unseen since its original theatrical release in 1965, and almost never shown in the U.S., The Golden Head is somewhat of a Cinerama mystery, not only in its "Emil and the Detectives"-style plot, but in its history as a unique, multi-national, and nearly "lost" widescreen wonder. A British-Hungarian-American production, the film takes place in and around Budapest, and follows the adventures of the Stevenson children: Milly, Michael, and Harold. In Hungary with their father, a British inspector attending an international convention of criminal investigators, the kids stumble upon a plot hatched by two thieves (Buddy Hackett, in his first role since the success of It's A Mad, Mad, Mad, Mad World, and George Sanders), to steal the golden bust of Saint László from the Cathedral of Gyór and smuggle it out of the country. The Stevenson trio trails the thieves through Budapest and beyond in what amounts to a widescreen tour of the culture and landmarks of Hungary, highlighted by crazy chase scenes of earthy humor and elements of slapstick comedy. Notoriously replaced by Flying Clipper (aka Mediterranean Holiday) after an 8-week theatrical run in London, The Golden Head was rarely seen ever again. 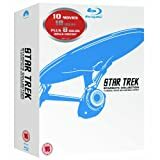 Now, thanks to a brilliant, new restoration by Cinerama Inc., the 70mm Technirama can be enjoyed by all alongside the other critically acclaimed Blu-ray and DVD publications in Flicker Alley's Cinerama collection. Fortress of Peace - A short film directed by John Fernhout, portraying the Swiss Army fighting against an unnamed, unseen enemy which originally screened theatrically in front of The Golden Head. A Tale of Old Whiff - Originally in Smell-O-Vision, a 70mm cartoon where a dog, named "Old Whiff", searches for a dinosaur bone. Restoration of The Golden Head - A featurette narrated by David Strohmaier about the new restoration of this Cinerama title. Restoration of the animation, A Tale of Old Whiff - A featurette narrated by David Strohmaier about the restoration of this animated classic. Image Gallery - Featuring original production, exhibition and promotional materials. Trailer Gallery - Featuring restored Cinerama titles.